So...sometimes you get things wrong. Not even a week ago (in fact it was two days ago at the time of me writing this) I called Genn Greymane terrible. I said that getting an even power wasn't great and it definitely wasn't worth gutting your entire deck by only running even cards. Now? I'm covering it on my series. I played a lot of Hearthstone to kick off Witchwood and, despite my own predictions, the deck I had the most success with by far was Even Paladin. The deck not only allows you to play a ton of unfair Paladin cards, but the hero power and some new additions from the Witchwood have built this into an incredibly sleek and well-oiled machine. Though there are a few different versions running around, this deck, which comes from Reddit user Zenis, is a great build for anyone who wants to get a leg up on the early meta. Bluegill Warrior/Vicious Scalehide There are several things I love about this deck, and one of my favorite aspects is the early game. 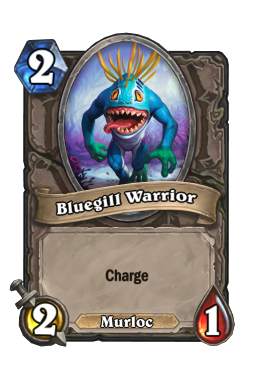 While there are several minions we've seen in the past, the addition of both Bluegill Warrior and Vicious Scalehide is a fantastic change. Each of these cards does a ton in the early meta, giving you a range of different options and ways to pilot this build. The Bluegill is mainly here for damage (equipping it with Spikeridged Steed is a great way to generate burst), but it also offers you a clean way to answer to early cards. A lot of people will try and sneak out cheap, high-value minions against Paladin due to the class's lack of removal. The murloc punishes those plays and stops Knife Juggler s and the like from getting out of hand. 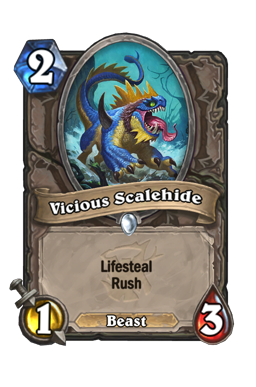 On the other hand, Scalehide cleans up Silver Hand Recruits and also presents a sticky body that is tough for midrange and control to remove early on. By far the best reason to run these cards is because of Call to Arms . Everyone knows how good the four mana spell is, but it can have a problem where, if you don't roll Knife Juggler first or second, it isn't terribly proactive. Against other fast decks you can run into situations where they build up a board, you play call, and it gets cleared because your opponent controls the trades. By having two different minions that can attack right away, you can often use call to clear and take out enemy threats in the way you want. That makes the spell even stronger (if you can imagine that) and helps you play the tempo game better than ever before. 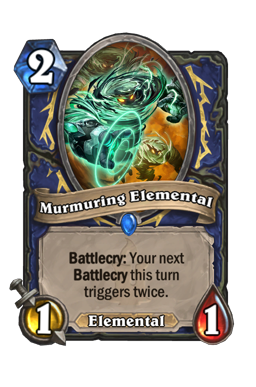 These two cards may not seem exciting on turn two, but when they come out for free they ooze value. Knife Juggler Sit down. We need to talk about Knife Juggler . The two mana gnome has been a top-tier card since beta, and that hasn't changed. Even so, in order to pilot this deck correctly you need to be able to understand how to use this card. Normally, you either push Juggler out as soon as you can or you wait until you can combo it with a ton of small minions. Though those are still the overarching rules when using the 2/2, there are many situations where you can play this card and not expect it to live. That may sound odd, but there are a lot of ways to create value from its ability. Once you get the throws, everything else is just icing on the cake. For example, a great use against other Paladin decks is putting this out on turn three with your hero power to try and snipe an opposing x/1. Then, your opponent has to react to you before you slam Call to Arms and just take over. A simple example, but one that shows you don't have to reach for stars to make this work. Don't worry about the two drop dying early on. As long as you can value from it you should be fine. It is so easy to hold this back, but at the end of the day it is just a 2/2. You definitely don't want to run it out for nothing, but you don't need to cripple your curve on unnecessarily hold back. There are many games where I'll just jam this turn two. Just be smart. There are many situations where your opponent is going to have trouble taking down this card. 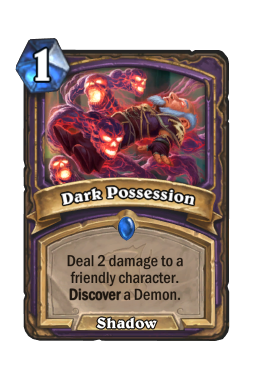 For example, Warlock can't do anything on turn two against a 2/2 minion. Paladin also has a lot of trouble in that department. While you don't need to break your back, if you see a window of opportunity, you should take it. 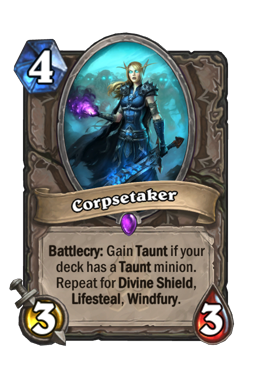 Corpsetaker Corpsetaker is another fantastic addition to this deck. Currently, almost every build on the ladder is minion or damage-removal based. You have things like Tempo Rogue, Rush Warrior, Odd Paladin and Odd Hunter all trying to use their cheap, efficient boards to push through damage and control the game. 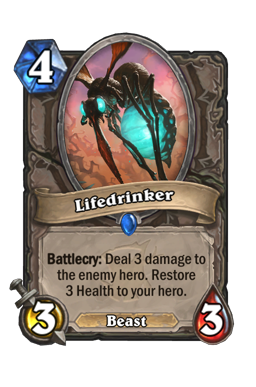 Corpsetaker (which comes loaded with taunt, lifesteal, and divine shield) instantly shuts that down by giving your opponent a tough wall to fight through. 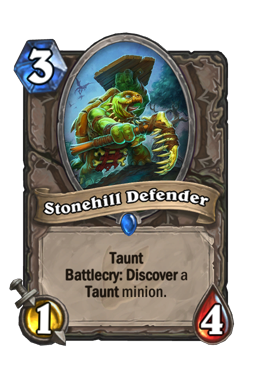 In that way, this card is a great defensive option that also helps protect your early minions and helps push through damage. In fact, the 3/3 is so strong there have been games where I've chose to run it out against aggro instead of Call to Arms . The reason for that is there are some situations where you need to eat an early board or fight back against a tempo push. The taker does both of those for you. This card is removal against fast decks because they need to slam bodies into it. Even if they do have removal, most removal comes from damage, which makes the divine shield incredibly powerful. Also note that this cards allows you to push against fast decks. 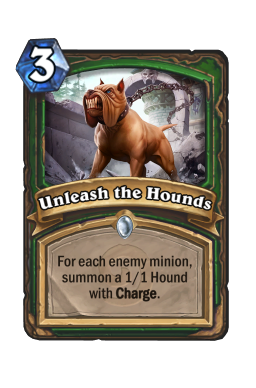 Nobody is going to see this card coming, and you can get into races where this just blows out Hunter or the like. 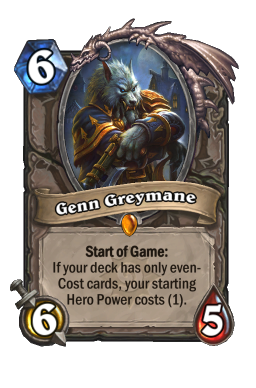 Genn Greymane The entire reason to run even cost cards, Genn Greymane is a strong minion in Paladin. In fact, his game start effect has been so good I'm sure I'll be testing it in other classes as well. The idea with this deck is that all of Uther's best cards have an even cost. You get Knife Juggler , Call to Arms , Tirion Fordring , Consecration , Sunkeeper Tarim ...the list goes on. Though Odd Paladin is definitely the most popular deck around (more on that later) I believe Even is much better. This is a midrange deck that can both go long and end games quickly. So, the big question: how good is a one mana hero power anyway? Turns out, very, very good. Being able to generate a 1/1 for one mana may not sound like a large shift (it certainly didn't to me) but it is incredible. There are a ton of cards in this build that interact with your board, and being able to create recruits around your even cost cards or to fill in your curve is incredible. 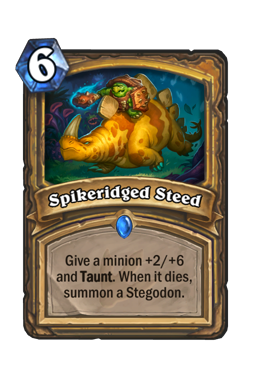 For instance, a one mana recruit means you can always play Spikeridged Steed on turn seven. 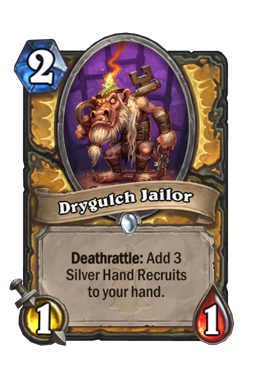 In addition, doing things like playing a Lightfused Stegadon/Silver Hand Recruit on turn five when you already have one recruit on board greatly enhances your threats and helps you generate tempo in different ways. It is all about being able to put together your synergy more quickly, and that is what Genn does. Not to mention that, with the one mana hero power, you always have a turn one play no matter what. That could be worth it in itself. Silver Sword Yeeeesssss. This card is...I mean-there's just...Look. Silver Sword is easily the strongest card in this deck. This is my own addition to the build, and my God does it put in some work. 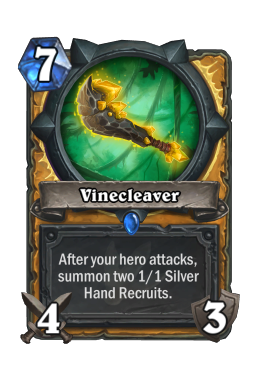 Vinecleaver showed that high-cost weapons can have an impact on the game if they are strong enough, and the sword continues that trend with an absolutely unfair, oh-my-God, over-the-top insane ability. Attacking for three is always good for going face or controlling the board, but adding the ability to give +1/+1 to all of your minions every single time you attack is downright nutty. No matter how you use the sword, you get the buff. 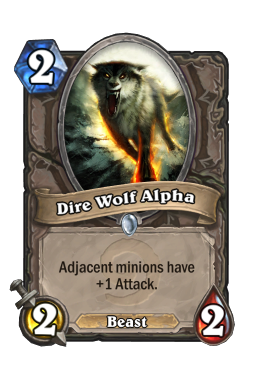 In that way, this helps you climb above AOE, creates incredible trades, and presents lethal very, very quickly. You can even play around AOE because you control the buffs. If your threats get cleared, just re-fill and attack again. 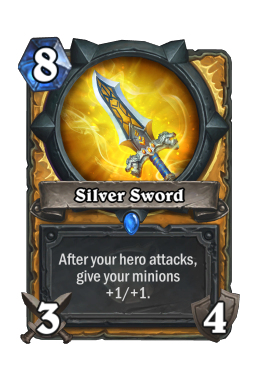 Silver Sword is game-ending, which means it is a card you want to work to set up. Though it is easy to see this as a fast deck, the truth is that it is pure midrange. Your minions are small, but they build damage extremely quickly. 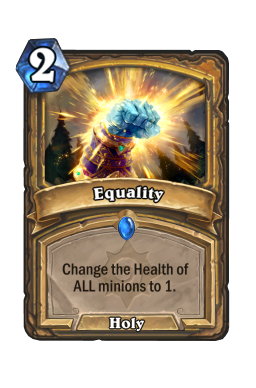 That, mixed with the addition of sword, Tirion Fordring , Equality and Consecration means that you have no problem moving into the later turns. Work hard to build a board for the sword's first tick. It is ok to hold off a turn or two while you cement some threats, and it is ok to slow play to get as much value from the weapon as you can. Once the card gets going it is nearly unstoppable. Note: While some of you may be tempted to only play one sword to lower the curve, don't. I had one in for a while, but you want to hit this as consistently as you can. Bogging down your deck is more than worth it. The four decks I've seen most in the early days. Odd Paladin You want a reason to play this list? Here it is. Odd Paladin has broken out as the early star of the Witchwood meta, and this deck is perfectly tuned to beat it. 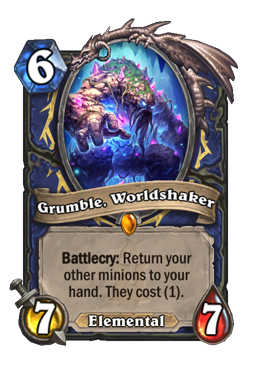 Not only do you have access to strong taunts like Corpsetaker and Tirion Fordring , but you also have Call to Arms , Consecration , and Vicious Scalehide . Knife Juggler is the best card in this matchup, and one that you want to get good use out of. If you can throw two or three knives that's great, but you even one carefully placed blade to grab the board can be all you need to run away with this. You will almost always outlast your opponent if you go long. While damage matters, you don't have to get too crazy about going face. Push when you have the chance, and always chip down any recruits you see. As your opponent has no AOE options, you should never hesitate to swarm. The stars of this match are Equality and Consecration . It has been a long time since the dream team has come together, but they work incredibly well in this type of list. Being able to clear the board is wonderful, and you have many ways to take Paladin's minions down. You often only need one good clear to take the board for good. Odd Paladin is great, but they will never be able to keep up once they fall behind. For that reason, don't panic and never pull the trigger on these spells too early. Fight with your minions first, and only once Paladin commits some real cards do you want to hit them where it hurts. Also note that you don't need both of these cards together to win this match. Consecration is great at clearing a bunch of small threats, while Equality /Knife Juggler does an amazing job of chipping down buffed recruits. 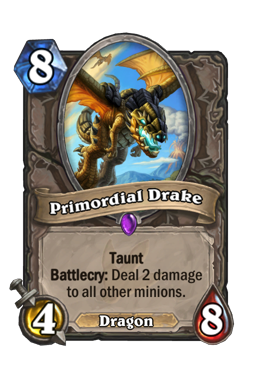 Note: This list typically runs Stonehill Defender , which can get Primordial Drake . Always play around the 4/8 if you've seen a turtle. 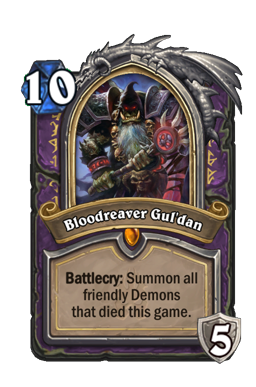 Control Warlock As everyone and their mother predicted, our ol' friend Gul'dan is back and more taunt-heavy that ever. Cubelock has exploded across all parts of the meta and it looks like it will continue to dominate throughout the coming weeks. This matchup is tough, but it is not as bad as you might initially think. As touched upon earlier, you are a deck that is ok going into the late game. 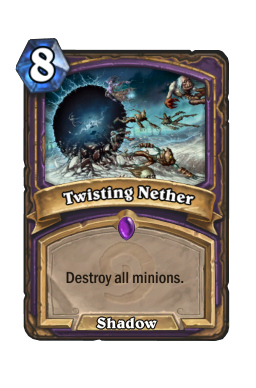 That means you can tangle with Warlock by filling up your board, putting out solid threats, taking clears, and filling it up again. Everything here needs to rely on your beefier bodies. Warlock starts slow these days, and you can take advantage of that by jamming as many cheap bodies as you can find. However, you also need to be careful about running into Defile or Hellfire . Always play uneven-healthed minions and find as many four health threats as you can. You want to play to your burst and sticky minions as much as possible. If you ever find yourself with a Bluegill Warrior in hand you should try to save it for a Silver Sword tick or Spikeridged Steed . 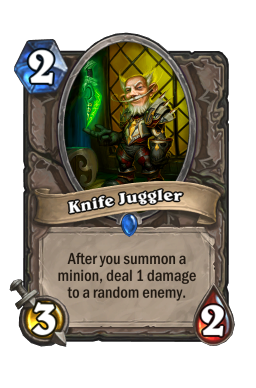 In that same vein, Knife Juggler into a string of minions is a great way to add some extra burst. 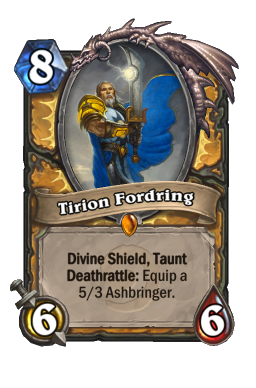 Tirion Fordring is also an excellent threat that Warlock has very few ways to deal with. If you're pressing hard and want to play around Twisting Nether , you should run him out as insurance. The final piece that can help you shut down Warlock before they get Bloodreaver Gul'dan going is Silver Sword . The weapon is especially powerful because it enables you to instantly build up a big board after AOE. 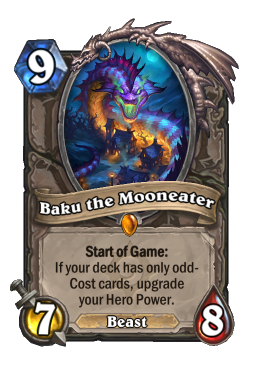 Odd Face Hunter Another Baku deck, Odd Hunter is a strong build that can come out of the gates at blinding speed. Even so, if they want their wins they are going to have to go somewhere else. There are two things Face Hunter has trouble with: other aggro and taunts. You have a great combination of both, which enables you to easily keep pace in this one. Cards like Corpsetaker and Vicious Scalehide ruin Hunter's day, and you should hard mulligan for them (and for Call to Arms ) as much as possible. You don't need a lot of leeway in this one, you just need a bit of healing. Once you manage to get up a wall or take the board, you will quickly break Hunter down. The face deck is fast, but they need windows to truly push. Don't give them any and you'll be fine. The only way you lose this game is if you get greedy by ignoring threats or opening yourself up to more damage than you reasonably need to take. There are a couple of ways Hunter can punish your plays, and you need to be hyper-aware of all of them. Ironbreak Owl is a popular choice, and you never want to discount it when thinking of your taunts. Also be careful about playing too hard into Unleash the Hounds . It is very easy to go wide, and that only gives your opponent more ways to put out damage. It also helps to remember that Hunter is never going to go after your board if they can afford it. Never take in trades when calculating how much damage your opponent can do. Shudderwock Shaman There was a ton of buzz about Shudderwock Shaman for the first few hours after release. However, once people started to realize how weak it is to aggro, that trend quickly died. Even so, it still has a fair presence at the time of me writing this. To win this game you just need to run out as many threats as you can and push face hard. Shudderwock needs to rely on AOE, but they also need to play a lot of rather slow combo pieces. As long as you can wrap this one up by the time they get their nine mana minion down, you'll be fine. 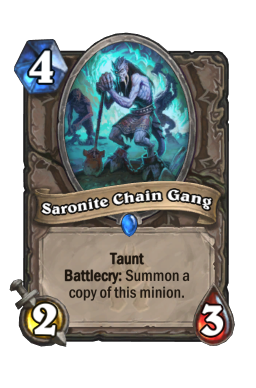 Remember that for Shudderwock to go off they have to play a bunch of different battlecry cards. If you haven't seen Grumble, Worldshaker , Lifedrinker , Murmuring Elemental , and Saronite Chain Gang you still have time. Mulliganing with this deck has the exact same mulligan as other midrange Paladin builds. However, as you have no one or three drops, you just want to look for two's and four's as much as you can. Drygulch Jailor , Dire Wolf Alpha , Knife Juggler , Vicious Scalehide , and Call to Arms are your must keeps. Beyond that, Lightfused Stegadon is strong on curve against midrange, Corpsetaker is incredible on curve against aggro. 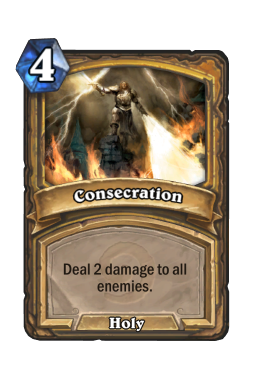 and Consecration is a must-keep against Paladin. Bluegill Warrior is the sketchiest two drop, but it is fine if you have no other early options. "Joseph, do we really need a new Paladin build at the start of each set?" Yes. And this build is not just a Paladin deck. It also shows just how hard it is to evaluate cards in a vacuum. While I did not like the idea behind this deck in theory, everything here works. Everything. This is one of those builds that just feels good to play, and I think it is going to stay good for the next couple of weeks. If you're sick of odd builds, take a walk on the even side. Until next time, may you never draw Genn Greymane .